As you might have noticed when following my sparse ramblings on Twitter I’ve been streaming an old gem of a game called The Longest Journey on Twitch lately. Interestingly enough I have been asked multiple times how I got this all to work correctly. When doing a little research on the topic I also noticed quite a lot of people reporting problems streaming, recording or even just playing the game. So this is a little write-up of what I did to make it work. I know this isn’t cutting-edge but it runs stable and does the job well. Besides I don’t see why I should buy a new system (which basically does the same) for an insane amount of money while my old rig still works good enough. Anyway, this is not about my PC but about the Longest Journey, so let’s get to it! When I installed the game and tried to start it, it immediately crashed not even giving an error message. On a second PC I tested on it worked flawlessly from the start. I did solve this “the hard way”. As it was about time anyway I completely wiped and reinstalled Windows (yes, I do this regularly). Well, it did not show any issues since then. For recording and streaming I currently use the popular OpenBroadcaster. Despite being quite heavy on CPU usage (at least if you don’t own any hardware it can use for encoding acceleration) it still produces good results and small files. The Longest Journey refuses to get recorded “the normal way” most broadcasters will be used to. Game capture is not an option here. Also window capture does not work. 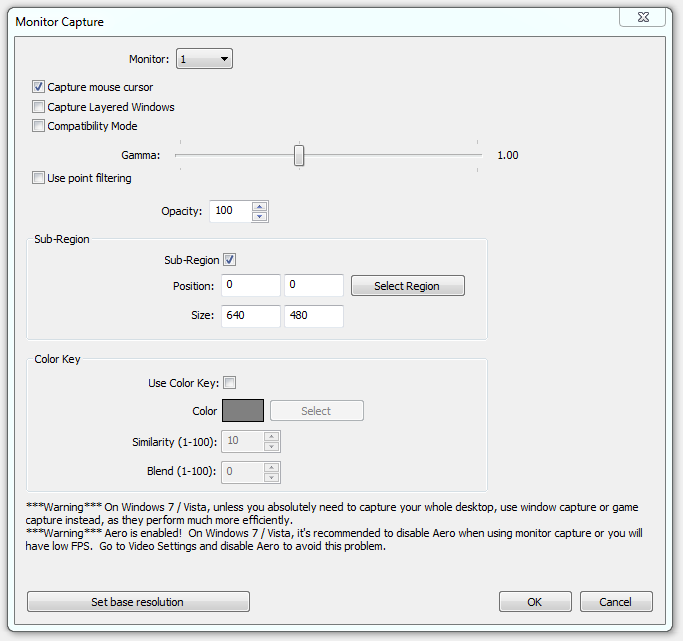 Therefore I am using monitor capture to grab the graphic output. In case you wonder what this is: monitor capture records your whole screen and everything that’s on it, meaning it is not limited to single windows. I then crop out the 640×480 game area and put that into my scene. One of the most frequently encountered crashes in this game is the one occuring when trying to enter the Newport Police Station through the front door. You can avoid this relatively easy by using the alternative way in. But be warned that you can only get in that way once! If you forget any item in there you will have to take the front entrance, which can be a showstopper. What worked for me is creating a savegame directly in front of the building and trying to enter repeatedly. If the game crashes, just restart it and try again. Took me about 3-6 times until it worked. There also seems to be a patch for this issue, but it was not included in my game version (bought over at gog.com). If you have any questions regarding this, feel free to contact me.